The Phoenix School is a special education needs school with pupils having a wide spectrum of learning difficulties. 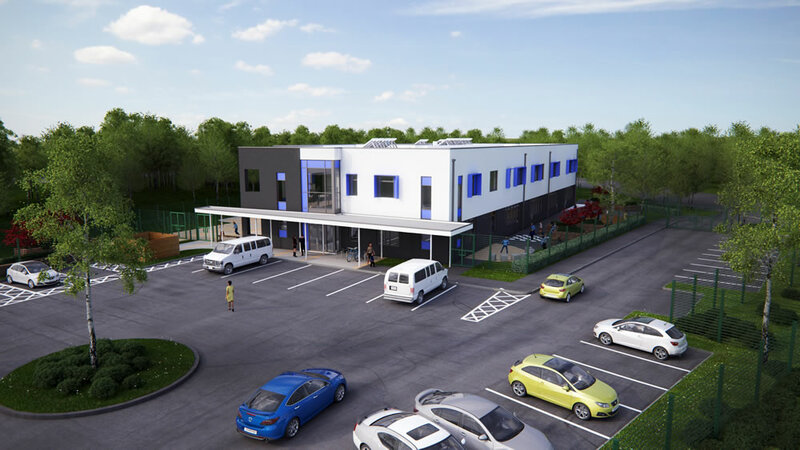 Extensions at the existing site were exhausted and the proposed development on the ‘Tunnel Site’ was identified as the closest opportunity to support the required expansion of the ‘Phoenix School’. 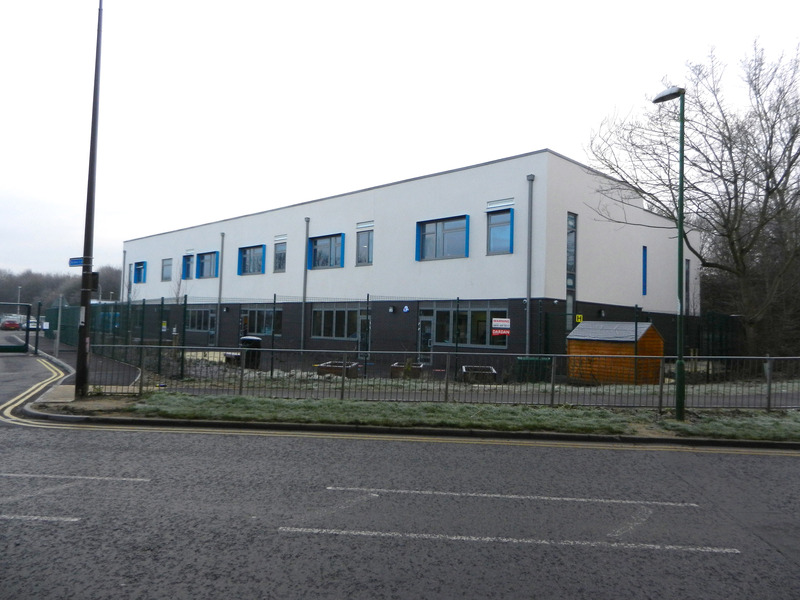 The expanded school now accommodates a minimum of 54 pupils and support staff and a new Post 16 facility at the ‘Tunnel Site’ which is totally self-sufficient in its provision of education and social services to the student population. The new building accommodation consists of approximately 1521 sqm gross internal floor area over two floors. Learning and teaching is undertaken in a variety of ways, within the 6 internal classrooms, smaller groups in the internal break out area, within flexible life skills and music rooms and within external secure teaching areas. 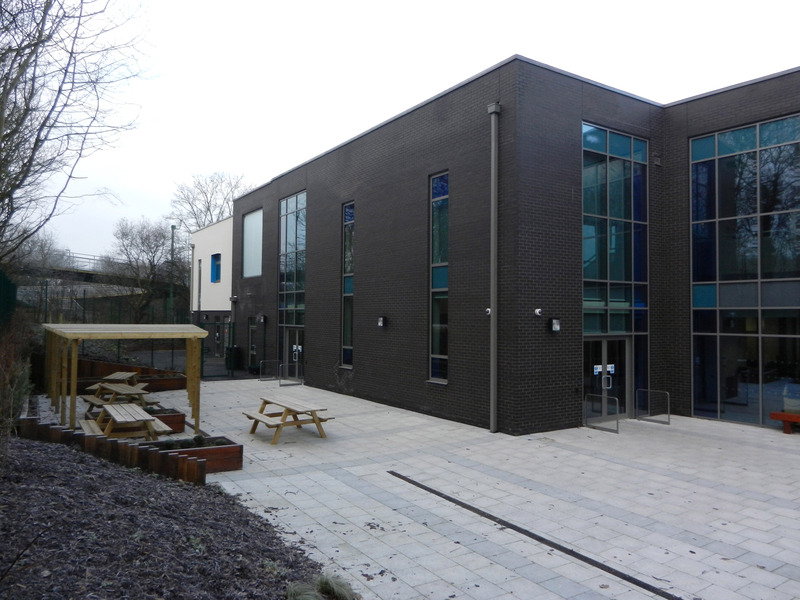 Other facilities include: soft play areas, school kitchen, hygiene facilities, multi use hall, large break out spaces, external roof terrace area, parents/professional meeting rooms and a community hall. 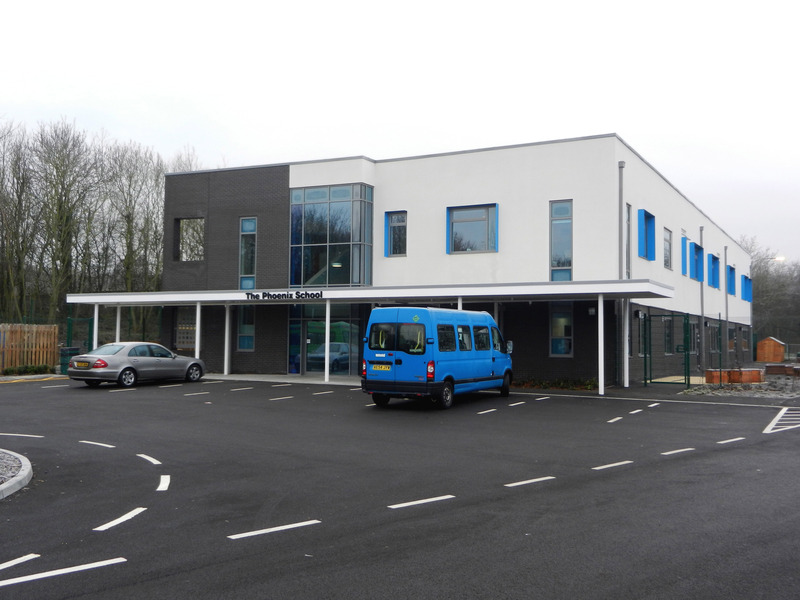 Traffic movements at the start and end of the school day, in order to facilitate the transport requirements of the pupils, is expected to require the site to accommodate between 30 to 40 ‘mini bus type’ vehicles, and this requirement therefore became a ‘key driver’ affecting the building location, site access and parking layouts.